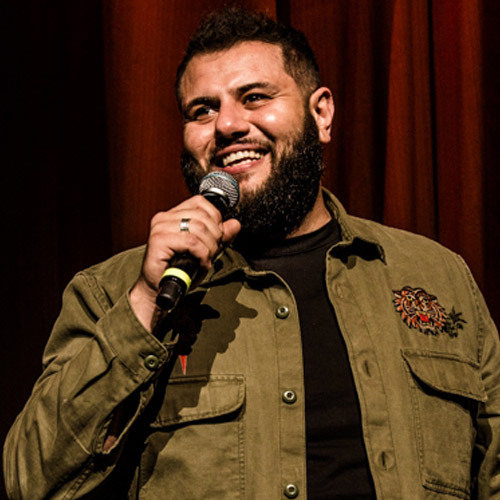 Mo Amer is a global standup comedian from Houston, Texas. He has performed hundreds of shows with Dave Chappelle over the past five years, including at Chappelle’s historic Radio City Music Hall residency and multiple Netflix special tapings (Austin, Washington, D.C., and Los Angeles), as well as Austin City Limits. Last year, Mo was named a ‘Comedian You Should Know’ by Rolling Stone and performed at the Just For Laughs Festival in Montreal. Mo’s television credits include Crashing (HBO), @midnight (Comedy Central), and Late Night with Stephen Colbert (CBS). He is a paid regular at the Comedy Cellar in New York City, and continues to tour worldwide. Mo will be releasing his first one-hour Netflix comedy special later this year.